A chart sheet is a separate worksheet that only contains chart, at some times we may need to convert chart sheet to image. 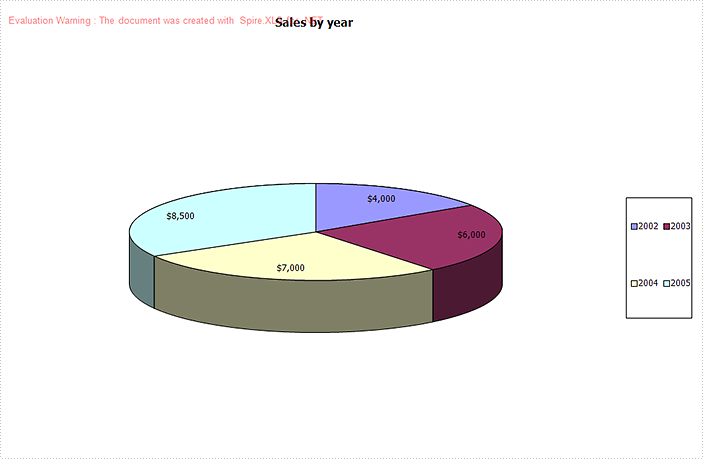 This article is going to elaborates how we can convert a chart sheet to image using Spire.XLS. Step 1: Instantiate a Workbook object and load the excel file. Step 2: Get the first chart sheet. 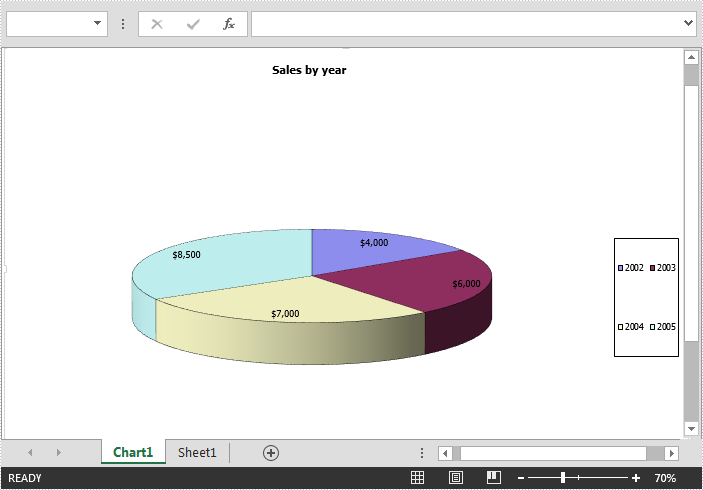 Step 3: Save the chart sheet to image and save the image to disk.